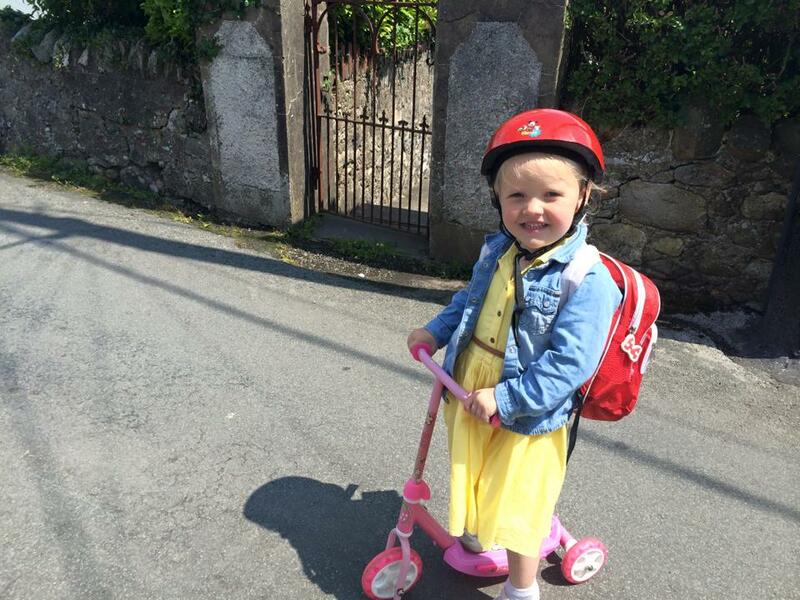 Why not go let the kids have a ride on their bike down to the park or down the cycle track or make it a day out where the whole family ride bikes and make a day of it. This can be a free day out if you make sure you packed some snacks/lunch and drinks. There are many places to walk everywhere. Even if it is just a walk to a friend's house or down the road. You could make the walk fun by playing games such as Eye Spy. Give the kids some colourful chalks and let them draw on the path. You won't have to worry about it staining because it will eventually go with the rain soon. Kids will play for hours with chalk drawing. Painting in the house isn't much fun but painting outdoors is! Get that paint out and just let the kids do what they want. Just a quick bath afterwards to get the paint off is all you have to do as you won't have to worry about outside. If you don't have a water box you could easily get any old box even a washing up bowl and fill it with water and maybe get some bath toys out or some dolls. A classic! Learning numbers whilst having fun. I am sure most kids love this classic game. Good old classic school games such as 'Tag/Tick', 'What time is mr world', 'Hide and seek' and much more will keep the kids busy. 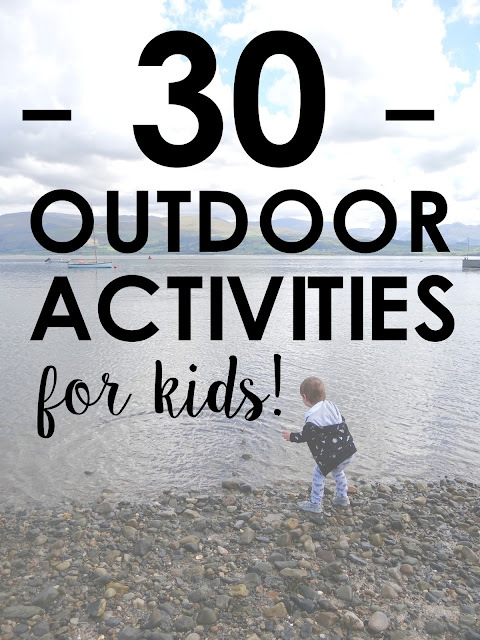 Just bring all the outdoor toys out and I am sure the kids will keep themselves busy. You could even bring some toys from the house outdoors. Why not hold a sports day at home? you could invite a few friends around. It will be fun for all kids and adults. Do your kids like bugs and interested in knowing more about them? Why not let them go on a bug hunt, write down and take photos of what they saw then look them up on the internet at the end of the day. Buy a basket or a bag and on a walk let the kids pick up different flowers and again, look up for information about the flowers on the internet. You could even let them stick the flowers on a piece of paper. Bring some pen and paper outdoors and let the kids draw all animals they see on their adventure. Which child doesn't like the park? You could even take a picnic. Fill the paddling pool and let the kids play. Join them or just relax. Bring out some foods they can make their own. For example: Fruit skewers, let them make their own sandwiches. Bring the beach to you! There are many decent priced sandpits around. 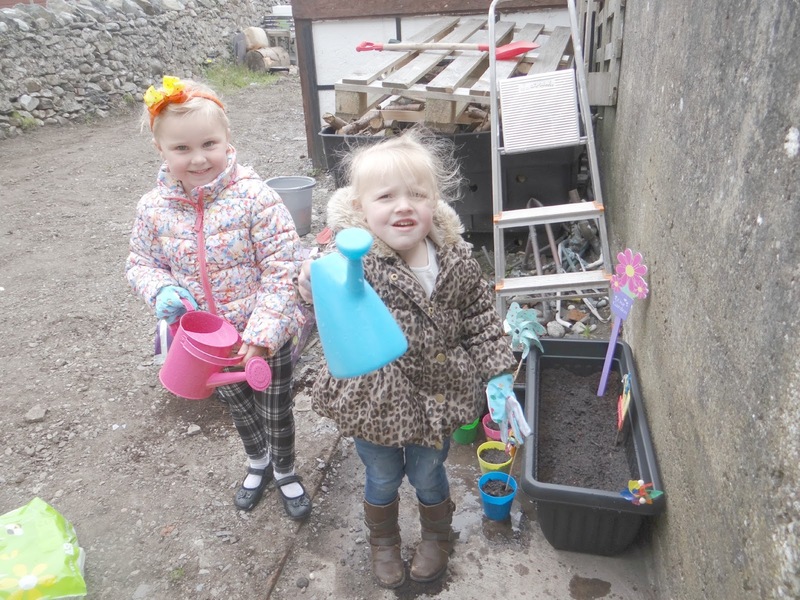 Let the kids do some gardening. You could let them water the grass and flowers and also plant some flowers! Go for a walk and find some stones to bring back with you and paint them outdoors. A way to keep the kids quiet and happy. Either with some jugs, water balloons or water guns, a water fight is always great fun. Sit down outside together and make some food for the birds then let them hang it up somewhere in the garden - something they will be proud of! Have you got a car? Let them wash it. Give them a bucket of water and a sponger. They will have so much fun. If you don't have a car, they could do it to their toy car. Either keep it as the family or invite some friends over and have a BBQ. You could get the kids to help by getting the baps ready and bringing the sauces out. 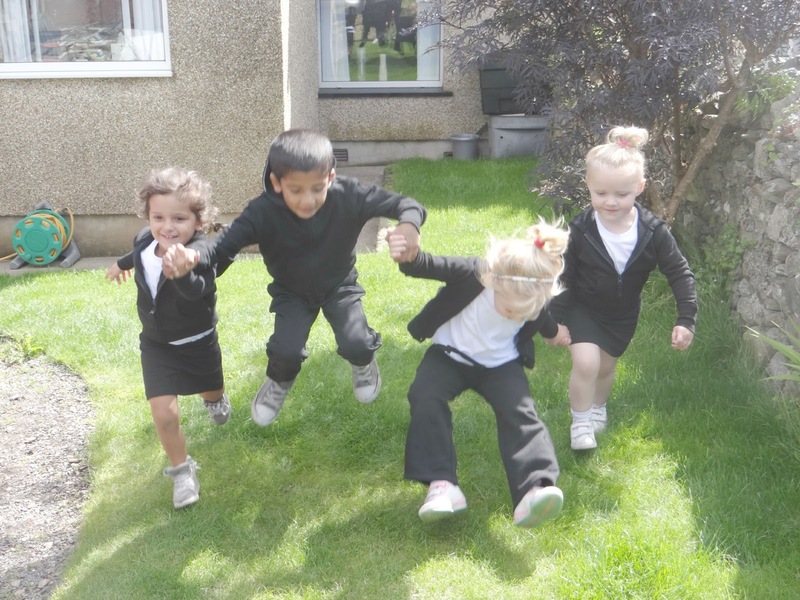 The kids can find something that will allow them to do some stepping stones and they can set themselves some challanges to see who can do the biggest jumps. Nearly every child loves playing with a football. Whether it's actually playing the game or playing a good old catch. If you have a camera that you don't mind the kids using, let them take photos of the outdoors and upload them onto the PC/laptop later that day once they have finished. 27. Do a treasure map! Before the kids going outside you could do some treasure hunt in the garden and do a map for them. Loads of fun for the kids. 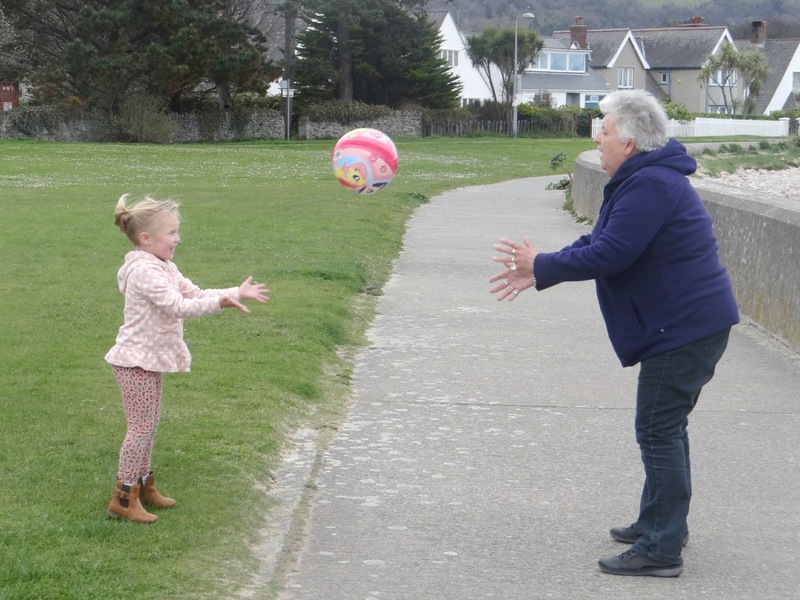 You could visit the beach and throw stones or bring it to your own home and play a little game by filling a box up with water and see who can throw the most stones into the water. If the weather doesn't stay nice, you could still go outdoors, wrap yourselves up, put some wellies on and jump in muddy puddles! Get a blanket, let the kids choose their teddies and do a teddy bear picnic. They will love it. Lovely ideas! One of our favourite things to do is just to find a little stream and let them throw rocks in. They love it! Never thought of bringing rocks home to paint though!? Great idea. We've just started a small "shell garden" for the treasures that they find whenever we go to the beach, a painted rock garden can be next! My son is also doing number 14,22 and 23 while not writing an urgentessay for college. Love your ideas, maybe I'll advise some for him. Thank you.